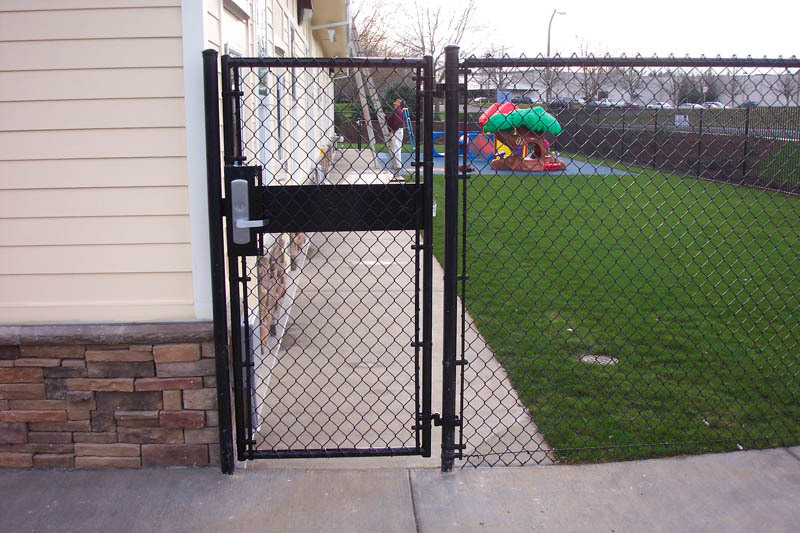 Chain link gates are one of the most popular products we install, as they are a secure and affordable solution for both commercial and residential properties. 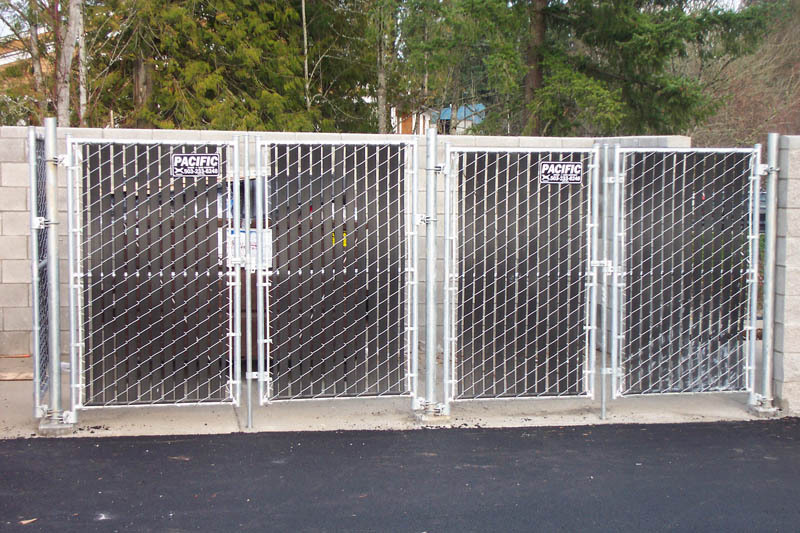 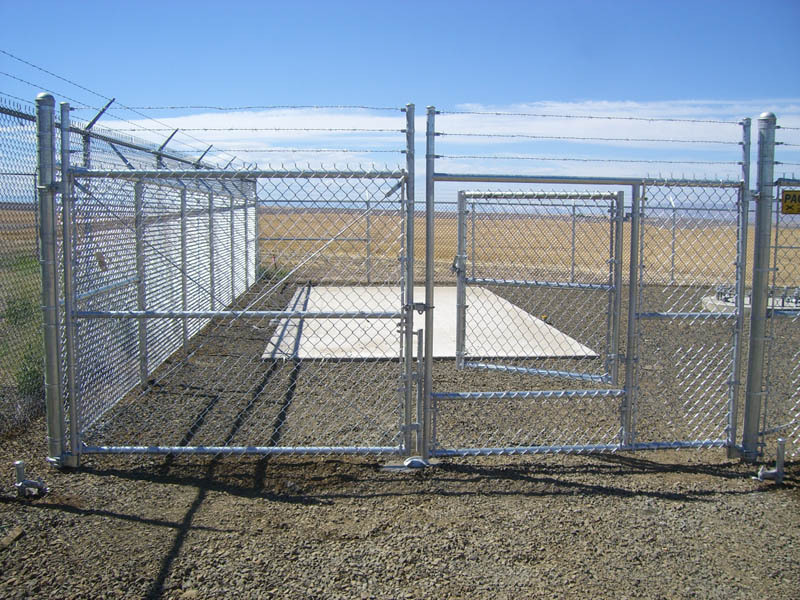 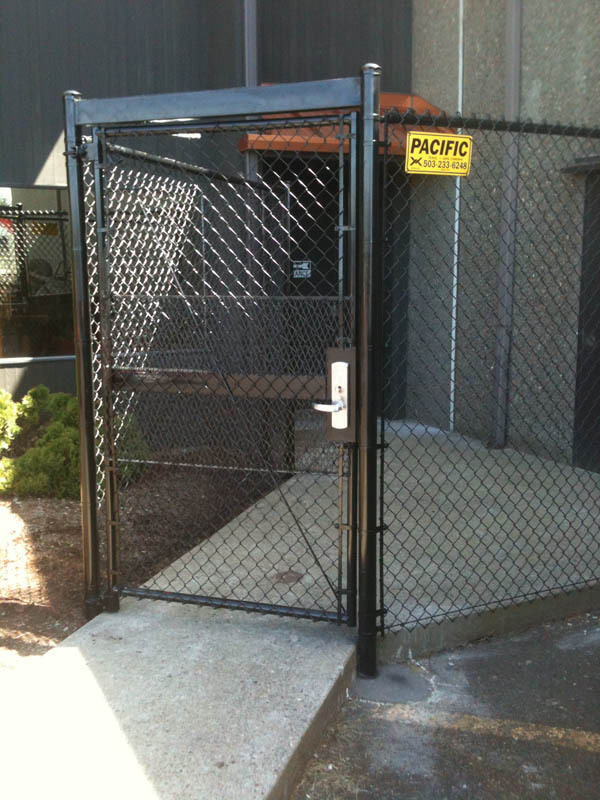 Pacific Fence & Wire manufactures and installs many different types of chain link gates, including swing, double swing, sliding, and cantilever. 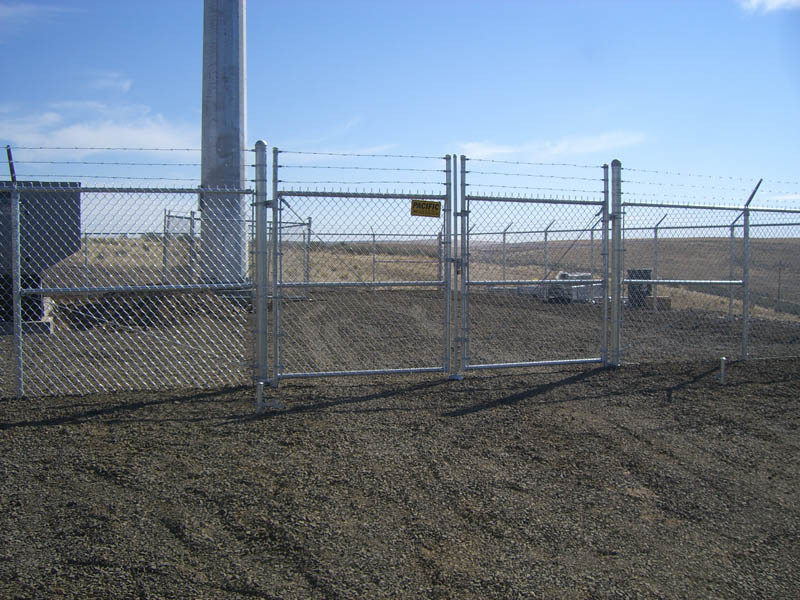 The team that works in our specialty gate shop brings years of hands-on experience working with unique project requirements. 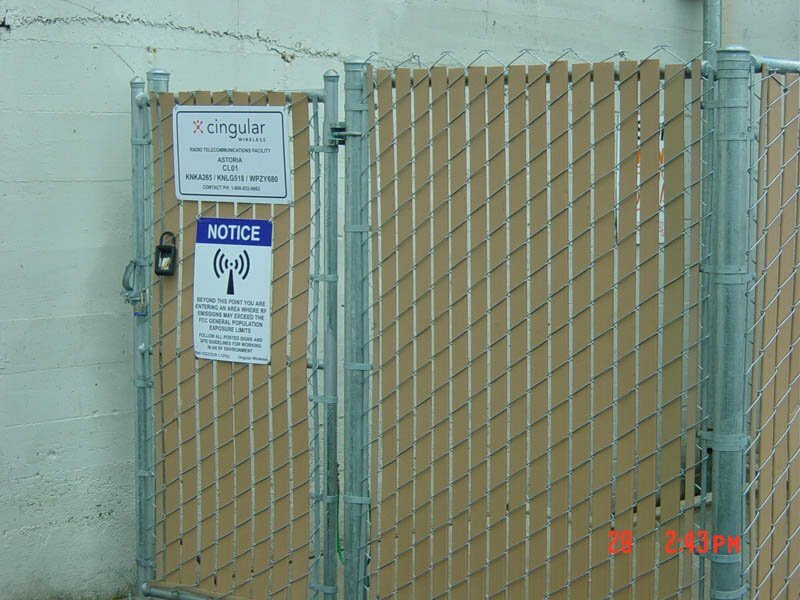 That means we can come up with a solution to fit even the most complex jobs. 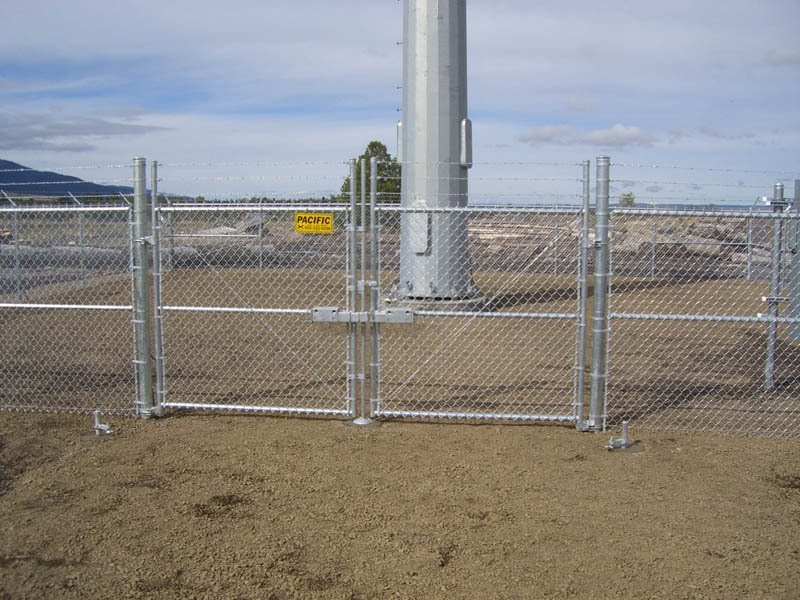 Chain link, also commonly referred to as cyclone or hurricane fencing, is a woven fence that consists of interlocking, coated steel wires. 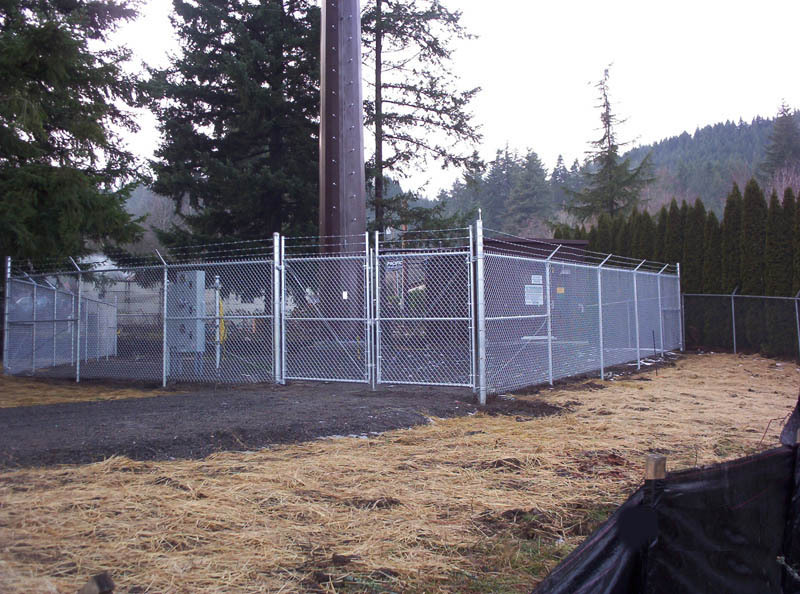 They are attached to steel posts that are embedded into the ground. Because this material is heavy and durable, it can withstand a variety of Pacific Northwest weather, lasting for many years to come. 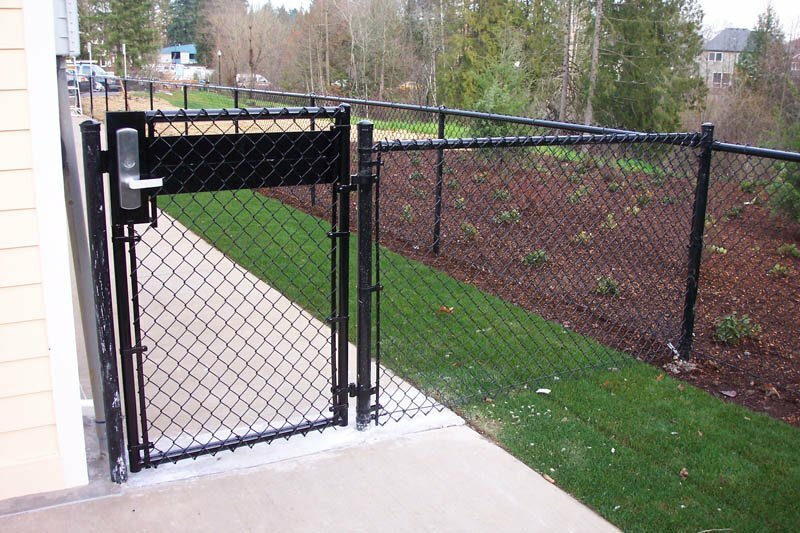 When compared to other fence options, chain link is significantly less expensive. 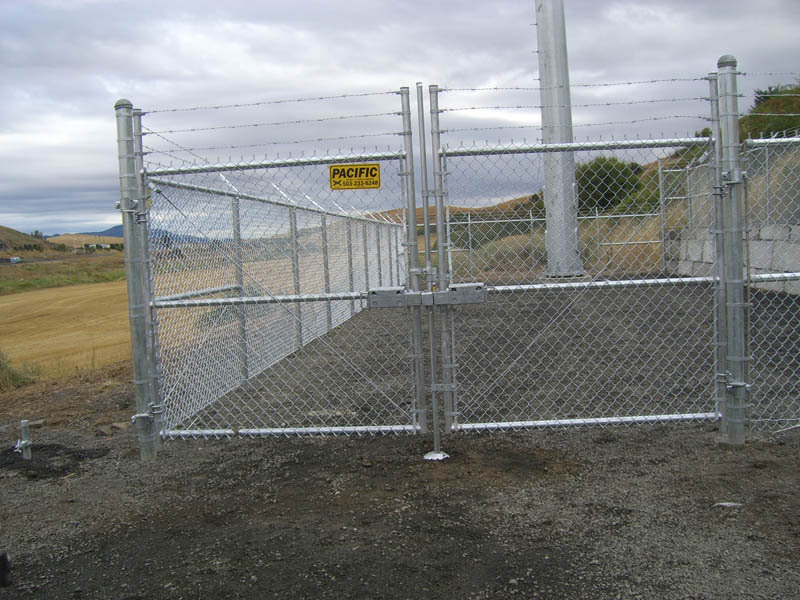 While there are many other products out there used for gates and fences that have similar visibility and strength, chain link is often priced a lot lower, making it a great option for homeowners and business owners looking for an economical fencing and gate choice. 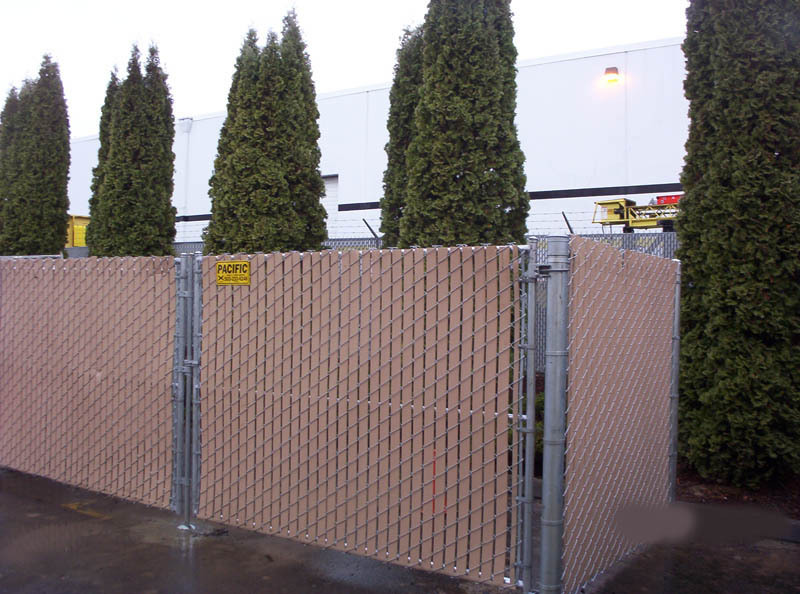 Chain link fences don’t go out of style, and they can fit in with all different kinds of properties. 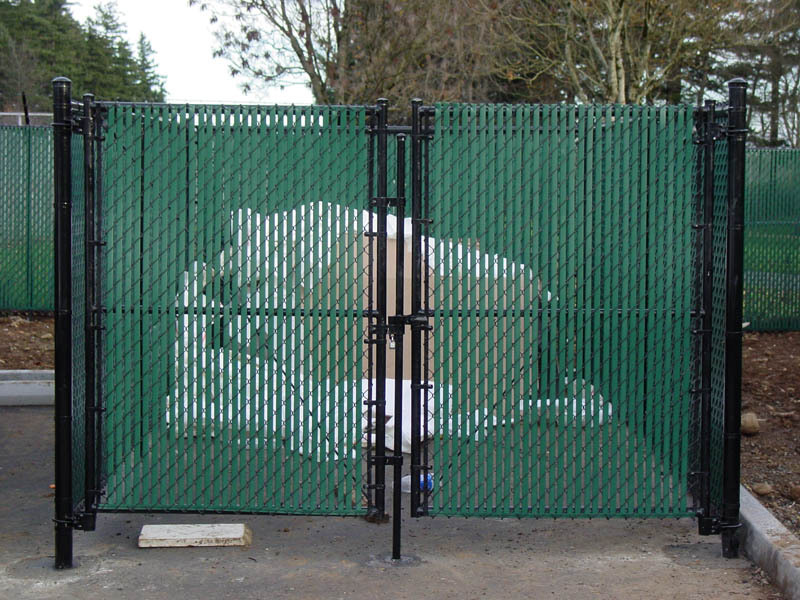 If you want something more aesthetically pleasing, you can upgrade the chain link fencing by adding a vinyl covering to it, which can be added to match the building that it is near. 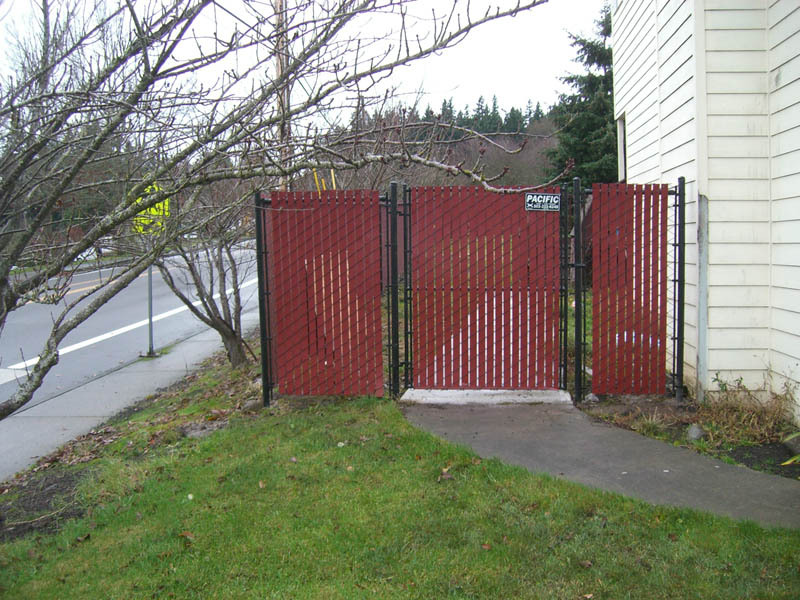 Chain link gates do not require cleaning, painting, or other maintenance. 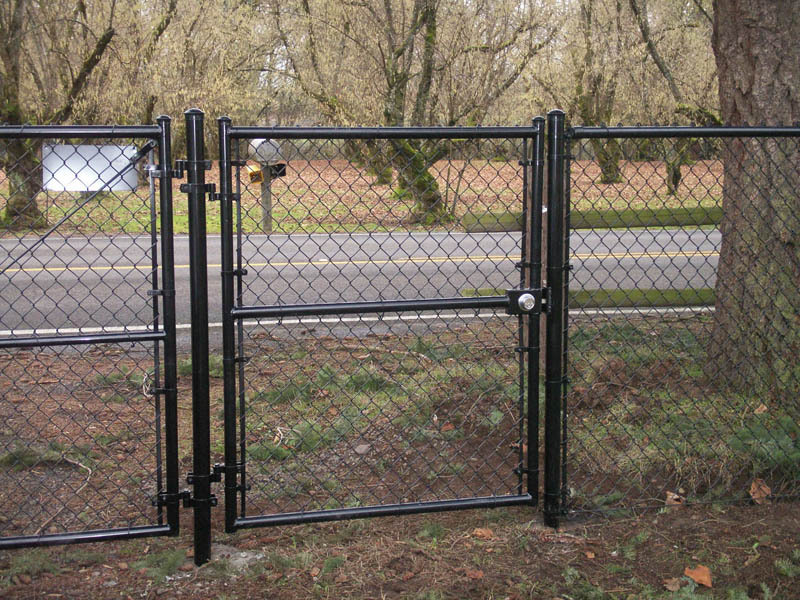 They won’t rot or be prone to pest destruction. 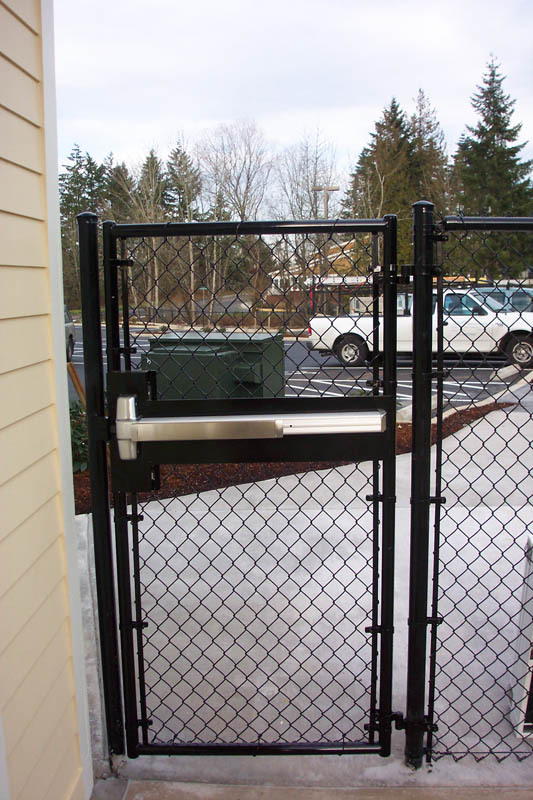 Once it is installed, it will fulfill its purpose, and there is no additional work on your end required to keep it well maintained. 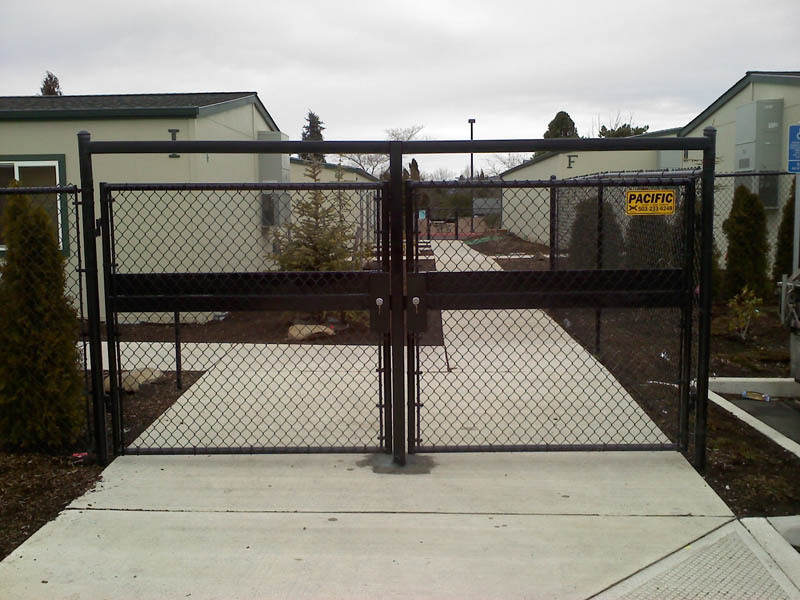 Ready to get your chain link gate project started? 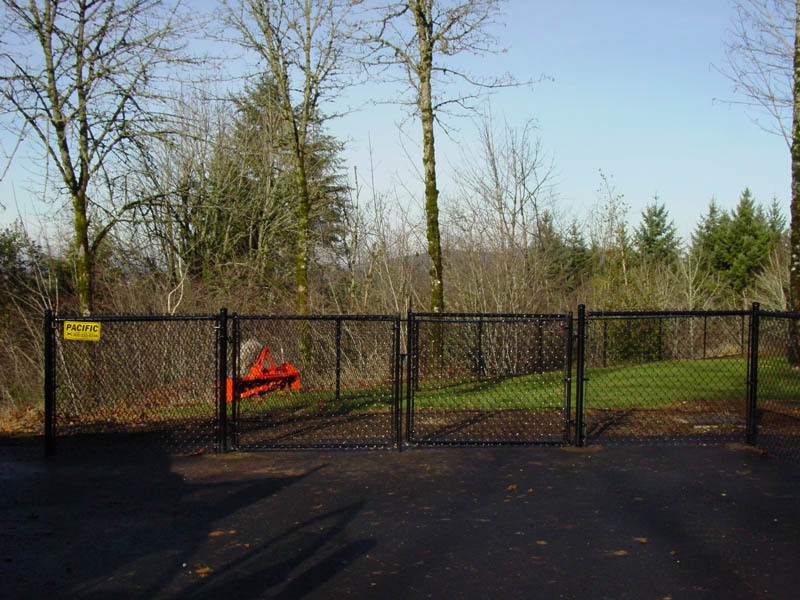 Contact us today to talk about what options are available and which one will work for your property’s layout and your budget.